Lost and Found provided a lot of the music for the Extravaganza in addition to a few other great musicians. They also received the 2015 Tommy Award. 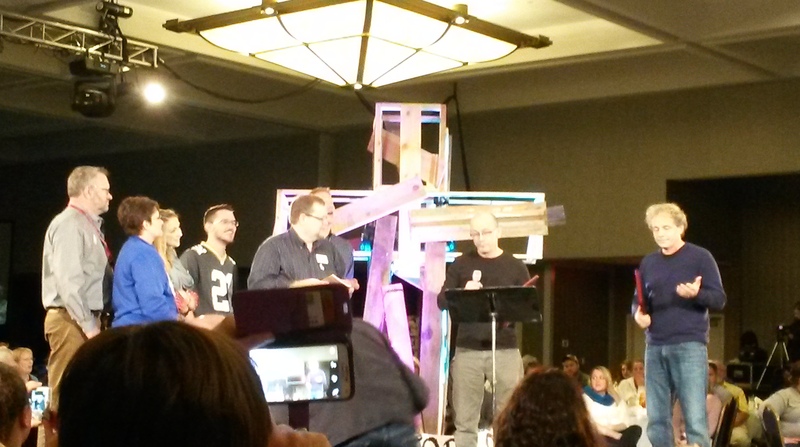 This past weekend I had the great joy to attend, participate, and present at the 2015 Evangelical Lutheran Church in America’s Youth Ministry Extravaganza. The Extravaganza (or “E!” as it is lovingly referred to as) is an annual gathering of children, youth and family ministers; faith formation directors; pastors; lay leaders and volunteers; and other thinkers and leaders who have a passion for youth and family ministry. This year’s event was held in Detroit, the host of this summer’s ELCA National Youth Gathering, and featured about 1,100 of our closest ministry friends. The LEAD group gathered together having fun like we did the whole weekend at the E! As part of Allison’s and my time at the E! we had the pleasure of helping spread the news and story about LEAD. I have mentioned about LEAD many times before, and it is a group I am passionate about being a part of and spreading the story. As part of this, we were selling hot off the presses first print and published copies of our friend Peggy Hahn’s first book, The Sacred Valley. Peggy even signed books for those who wanted them signed by the author. 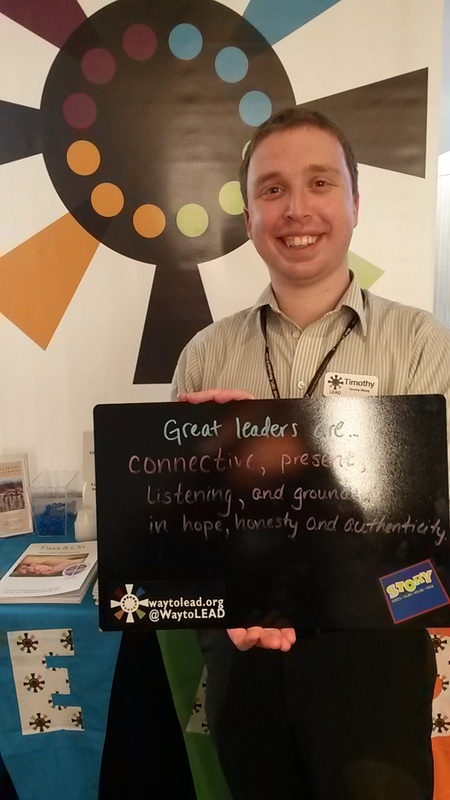 While also helping share LEAD’s story, we invited people to respond to prompts like “Great leaders are…” broadening the conversation on leadership, and its great importance in the church and ministry. 1) Why doesn’t the church take leadership development and training more seriously? We had a rich discussion on values, vision, mission, discernment, gifts and strengths. I hope that all those who participated in those conversations enjoyed them as much as I did. In the weeks ahead I am sure that I will be using some of these stories to respond to those questions and more that were posed this past weekend here on the blog. 1) Leadership is a major need and area where ministry leaders are thirsting for ideas and insights on how to be better leaders and to empower and equip others to be better leaders. 2) These ministry leaders care about each other and want to help each other. They share a desire to collaborate and find solutions, as well as creatively think and respond to ministry needs in their own contexts. 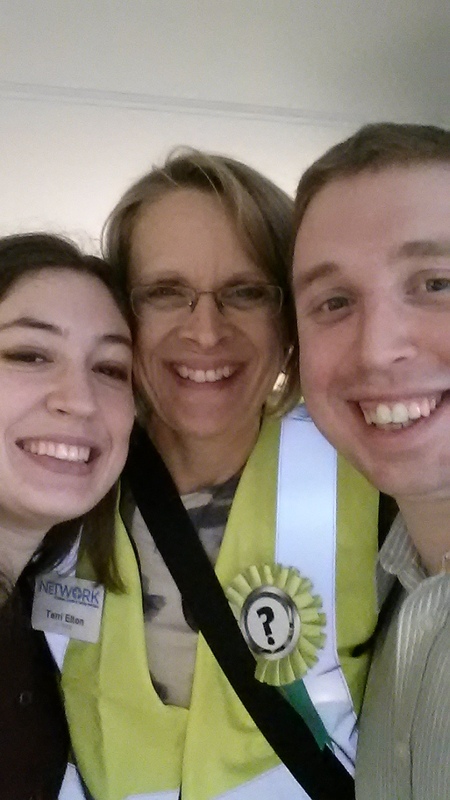 3) I am connected to some really awesome people! Looking around the E! I saw so many mentors, friends, conversation partners and colleagues all engaged in ministry with me. Knowing that they want to help do the work of the church alongside me, is quite humbling and gratifying. These insights give me great hope, not just for the present church but also for the future of church and ministry. For more thoughts and reflections related to the E! be sure and read my wife Allison’s reflections here, as well as our mentor Dr. Terri Elton’s reflections here. 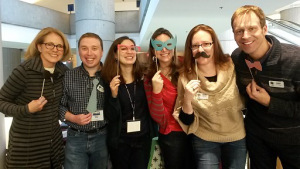 Also, to see more from those who participated in the E and its many conversations, check out #ext15.